The following scale provides a general guide to identifying the most appropriate Privacy Level, when determining the operational objectives of a particular location, or area within a site. It is intended to offer a degree of guidance only, and is not designed to provide an absolute benchmark for all situations. Where System Profiling is being prepared, or routine evaluation for Operational Standards, the scale level can be recorded for reference against the site, specific areas within it, and individual camera locations. It can of course also be used to set a level, even if CCTV is not to be used. 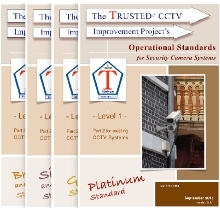 Surveillance cameras are permitted if appropriate and authorised at the highest level. Images produced are of contextual benefit only, providing either low resolution or pixellated / obscured facial content designed to have maximum privacy safeguards in place. 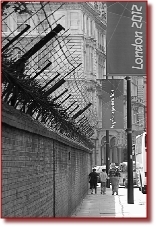 Surveillance cameras are permitted if appropriate and authorised at the highest level. Images produced are of contextual benefit only, providing low resolution or wide field minimal target presence, such that an individual's identity is not recognisable or determinable on either display or recording playback. 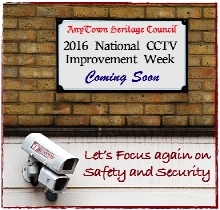 Justifiable use of CCTV cameras when used responsibly and appropriately. Recognisable images of individuals are permitted, and Collateral Surveillance may be included if authorised by an appropriate or affected third party. 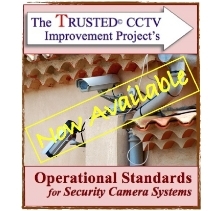 Where there is 'No Legitimate Expectation of Privacy', for example on a public street, or privately owned and operated train station platform, it is to be expected that the sites owner or manager will provide some level of video surveillance to achieve various operational objectives related to either security, safety or site management issues. Subject to ongoing feedback, this Privacy Scale will be further refined and developed over time.